Keep the Serenity Prayer close to your heart with this inspirational Personalized Praying Hands Dog Tag Necklace. 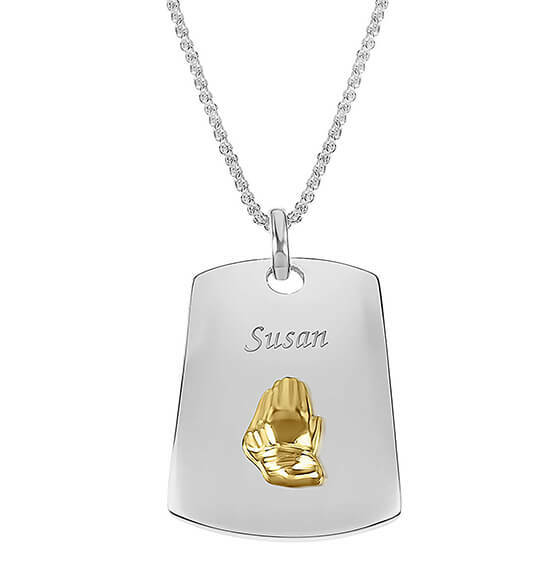 Shimmering dog tag style pendant features hands folded in prayer and space for 1 initial. The pendant reminds us to seek serenity, courage and wisdom. Makes a thoughtful gift! Specify name.